The delayed return to Earth will last a duration of a few hours with Peake most looking forward to experiencing rain again. 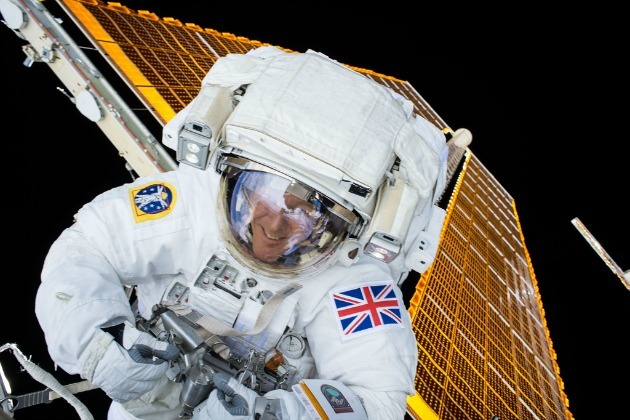 British astronaut, Tim Peake, is set to leave the ISS and return to Earth this coming Saturday June 18. After 186 days conducting research in space, Peake is preparing to readjust to the effects of Earth’s gravity. Returning on the Russian spacecraft to the Baikonur Cosmodrome, a launch site in Kazakhstan, Peake will need to undergo several medical checks. The long term affects of space travel can have the potential to have detrimental effects on astronauts’ health that comes with living in a microgravity environment and constant orbiting. It all comes down to the brain having much less communication with the vestibular system – the system responsible for balance, orientation and motion. Peak returns with two fellow ISS team members, Tim Kopra and Yuri Malenchenko, all of whom made the journey into space together back in December. Initially intending to return in early June, the trip was delayed due to the replacement crew’s spacecraft – three astronauts are sent up as replacements – was postponed from launching. The astronauts are expected to experience Entry Motion Sickness (EMS) with nausea, dizziness, vomiting and headaches as a consequence. Once successfully landed, the three will be sent over to the European Astronaut Centre in Cologne, Germany where they will have a full health check up. During the launch back in December, as part of tradition, each cosmonaut was allowed three songs to be played to them. Peake chose Queen’s ‘Don’t Stop Me Now’, U2’s ‘Beautiful Day’ and aptly, Coldplay’s ‘A Sky Full of Stars’. It is unknown if songs are played on the journey back to Earth – a trip that lasts a duration of a few hours – but his mind will probably be on the comforts of home.